I remember buying this album very well. I was browsing in my favorite record store in FL, Spec’s Music, and just happened upon it. I didn’t know that Ronnie James Dio had released a post-Black Sabbath album, so this was quite a surprise. By this point I had followed his years in Black Sabbath but had also fully explored his other band, Rainbow. I was very curious to see what Ronnie would do outside of these two powerhouse bands. I loved this album immediately. Well, most of it, anyway. I’ll be honest, the one song that I didn’t like at all was “Rainbow in the Dark”. It just seemed too poppy, too keyboard-driven, to fit with either the rest of the album or with what I was expecting from Ronnie. Its still my least favorite song on this album, so it surprises me sometimes that people who like even heavier music than I do love it so much. Aside from that, though, there are some killer tracks here. I remember being particularly blown away by “Stand Up and Shout”. In fact, I later picked up an import 12″ single of “Rainbow” and it had a live version of “Stand Up” on the flip side, recorded at Castle Donnington. Wow, what a powerful performance it was! Much better than the superb studio version. I’d seen Black Sabbath on the Mob Rules tour, so I knew that Ronnie was a great performer (sadly that was the only time I saw Ronnie live, but its a show that I remember extremely well). I was very excited about Dio, partly because Ozzy Osbourne‘s post-Sabbath career had been so successful, and I was hoping the same would happen for Ronnie. And for a while, it did. 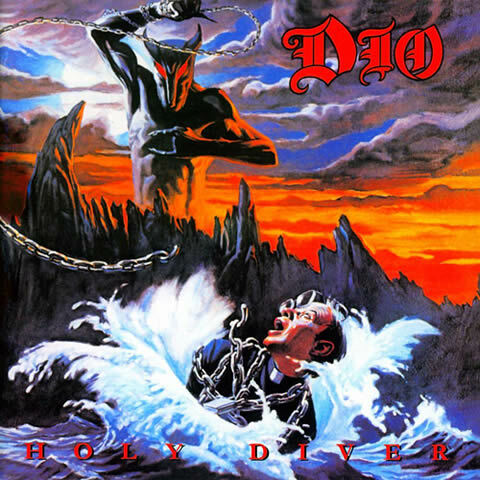 The first four Dio albums all performed pretty well and had good MTV and radio coverage. It was fun to watch the more or less parallel path that the two singers’ solo careers took. There was a bit of a rivalry between them, which is a shame, because a co-headlining Ozzy/Dio tour would have been amazing. It could never happen, though, as was proved when Sammy Hagar and David Lee Roth attempting such a tour in 2002. It was a big success, but read Sammy’s bio to see some of the drama that went on backstage. Even though overall not as successful as Ozzy, Ronnie’s solo career was a metal feast, turning out amazing albums like The Last in Line, Sacred Heart, Strange Highways and Killing the Dragon which are among the best works of his entire career, solo or otherwise. He rejoined Sabbath in 1992 for one great album, Dehumanizer, and then rejoined them under the name Heaven and Hell in 2007 for a tour followed by a new album. Ronnie’s death in 2010 was devastating to me personally as it was for everyone in the metal community. Luckily, his wife and manager Wendy has kept his music alive with some really terrific releases, like a two-CD release of his two Castle Donnington performances. By the time Let’s Dance came out, I was more than ready to surrender to the Thin White Duke. 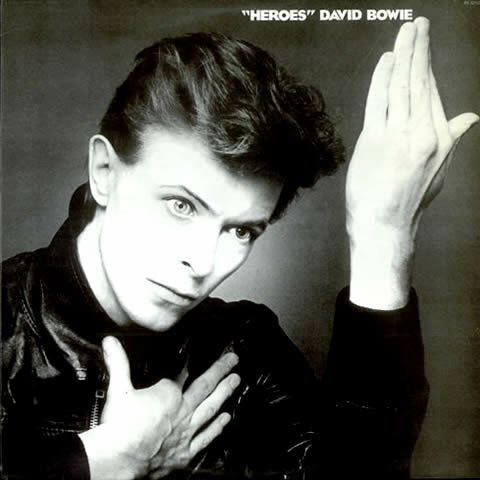 I had a friend who was a big Bowie nut who played “Heroes” a lot, as well as BOWIECHANGESONE. Plus, there were the songs that were perennially on the radio. I was starting to become familiar with, and even fascinated by, some of Bowie’s weirder songs, like “Beauty and the Beast”. I think I was really starting to be a Bowie fan around ’82, so Let’s Dance was kind of like someone struggling to open a ketchup bottle and then handing it to someone else, who pops it off easily, saying, “oh, you loosened it up for me.” Same here. 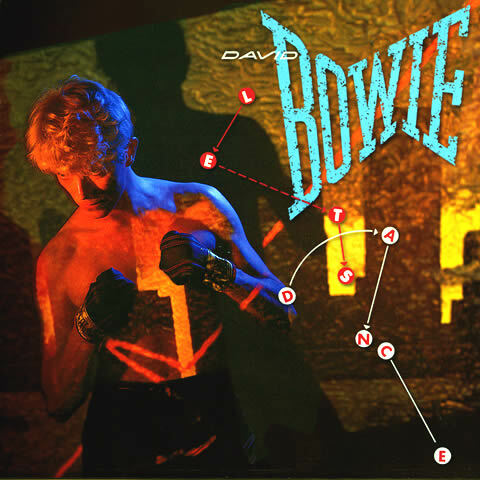 After coming to terms with some of Bowie’s more challenging catalog, there was no way that the breezy, accessible pop of Let’s Dance could fail to seal the deal. Actually, it wasn’t necessarily the album that sucked me in for good – it was the concert video of the Seriously Moonlight Tour which did it. Shown on HBO, I watched it over and over and over, memorizing every song, getting introduced to a lot more of his back catalog, hearing songs like “Breaking Glass”, “Sorrow” and “Cracked Actor” for the first time, and recognizing songs like “Golden Years” and remembering hearing it on the radio back in ’75/’76. This concert was for the most part a career-spanning introduction to the magic of Bowie, and I ate it up. Once I had consumed that concert video, I began a rampage of Bowie purchases, snapping up all the old albums I could. I will admit that some of them were hard to swallow, as the production is kind of iffy, especially things like Scary Monsters. There were many instances where I would take to only a couple of tracks per album and not connect at all with the rest of it. For the most part I eventually grew to love every album. There’s still one, though, that I only like two songs on and don’t ever listen to the rest of it. 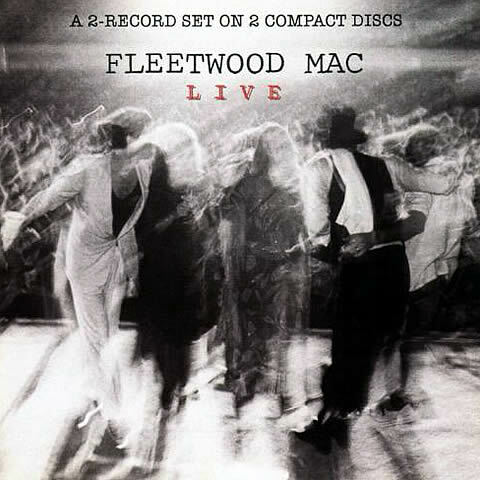 I just re-watched this concert last week with my buddy Josh, and found that I still love it, and that there are some songs that I like this version of more than any other, like “Young Americans”, “Scary Monsters”, “Cat People”, “Fashion” and the opening song, “Look Back in Anger”. I remember about five years ago going to a Bowie tribute night at a local bar, where a bunch of local bands (and a couple not-local) each played two or three songs. Most of them played hits, but a few strayed into some lesser-known material. The first band that played kicked off the show with “Look Back in Anger”, which thrilled me to no end, and I sang and danced along. Afterward, the singer came up to me and thanked me, saying that he was the only one in the band that wanted to do that song, the other guys thought no one would know it and their opening song would tank. My love of Bowie led me to discover a lot of other great artists, most notably Kate Bush, who will get her own mention a couple of entries from now. I’ve stayed a loyal Bowie fan over the decades, loving his 80s, 90s and 00s work just as much as his earlier stuff. Reality was a superb album, and I thought that was the last we’d ever hear from him until 10 years later, he dropped a whole new album, The Next Day, out of the blue, and it has some stellar material on it, like the title track, “Dirty Boys”, “Love is Lost”, “Valentine’s Day”, “I’d Rather Be High” and “Set the World on Fire”. I look forward to hearing and seeing whatever else Bowie has in store for his fans. I’d been a KISS fan, as you know if you’ve followed this blog, since 1977 when I was given the Love Gun album for my birthday. I taught myself to play drums by listening to songs like “Chistine Sixteen” and “I Stole Your Love”. My love for KISS continued on, but I’ll be honest, like for most people it waned during their pop years. Dynasty and Unmasked were fine albums, but they lacked the punch of earlier KISS albums. KISS had strayed too far from its path and had left many of its US fans behind. Their popularity had died off drastically, especially in the US. So when it came time to release a new album, what did they do? They released the weirdest album in their history, a concept album based on a proposed feature film that never happened. Plus, they changed their look a lot, with simpler costumes, short hair and no platforms. They could not have made a worse step in their career at that point. (Music From) The Elder was a nail in the KISS coffin. Any last few hangers-on quickly jumped ship, or worse, just stopped caring. I was still there with them, though. In fact, throughout all this, KISS had gone through its first member change. Peter Criss had left and the band had hired new kid Eric Carr. One day in June in 1980 my mother came home from the grocery store and had picked up a copy of People Magazine just because it had KISS on it. I took one look at the cover and freaked out! There was Gene, Paul, Ace … and who the hell was this fourth guy? I tore into the magazine to find out all about this new guy, where he’d come from, and what he was doing in the band. After I read the magazine about 20 times, I wrote my first ever fan letter to this new guy. 2.5 months later, I got a hand-written letter back from Eric, all the way from Frankfurt Germany. I read that letter about a million times. And from that point on, I became a little bit obsessed with Eric Carr. The Elder was Eric’s US debut on a KISS album. Yes, the album was very weird. No, it didn’t sound like a KISS album at all. But I loved it! I really enjoyed Eric’s playing and I was thrilled that he’d gotten a couple of songwriting credits. The band appeared on the SNL knockoff Fridays in their new costumes, playing songs from The Elder, and it was great to see the new lineup for the first time. But I was very aware that KISS had lost it. Not just the fans, or their direction, but “it”. That thing that defined KISS. The thing that made them special, different from every other band. I really doubted that they’d ever get it back. But then Creatures came out. First impression: The cover was definitely a step in the right direction. It was dark, it was eerie, it was distinctive and it was powerful. This gave me a lot of hope! I remember very clearly getting home, taking the LP out of the sleeve, putting it on the turntable, putting the needle down, and waiting. Waiting for the needle to catch that groove and slide in to that first note. What would it be? How would KISS announce its return? What would they do to impress me? I turned up the volume and waited. And then … BOOM! … this MASSIVE, thunderous, powerful drum intro pounded around me and this wall of big, loud, fat guitar sound completely filled the room. WHOA! It was like being grabbed by the throat and having someone scream in my face KISS IS BACK. And they were. My KISS had returned. The whole album was just amazing. To this day it is still my favorite KISS album, with 1992’s Revenge being a very close second. 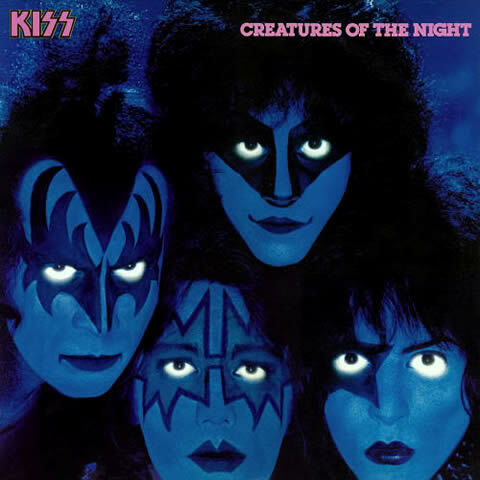 To this day, no other KISS song gets my blood pumping like “Creatures of the Night”. To this day, when I think of Eric Carr, the first thing that comes to mind is “Creatures of the Night” and that force-of-nature drum intro. After that, my love of KISS never wavered again. I studied everything Eric Carr did. I had taught myself to play drums listening to Peter Criss; I had learned to think differently about playing drums listening to Neil Peart. But listening to Eric Carr affected and influenced my playing more than anything else. I’ve got so many Eric Carr stories that I should probably save them for a separate post. Maybe I should do a series of the musicians that inspire me and why. Because with Eric, it wasn’t just the playing, it was personal. I’ve got SO much I could write about, but I know this shouldn’t be too long. I loved Eric. He was an inspiration. He passed away on November 24, 1991. I remember that day vividly. It was the same day that Freddie Mercury died. Both of those news devastated me. KISS was never the same for me after Eric died. I always still loved them, and they continued to create great music, but that lineup of Gene Simmons, Paul Stanley, Bruce Kulick and Eric Carr is, in my opinion, the strongest KISS ever had. Finally moving on from 1980! That was the year that nearly every one of my “cornerstone” albums came out. And no, that’s not an intentional Styx pun (that album came out in ’79, anyway). Having been a Rush fan for a few years at this time, my pump had been primed for full-blown prog-rock. I had of course heard Yes before. I remember hearing “Roundabout” on the radio when I was fairly young. And once I started listening to rock radio in high school, I started hearing things like “Long Distance Runaround” and “I’ve Seen All Good People”. But the previous year – yes, 1980 again – Yes released the album Drama. I was completely unaware of this at the time, or about any of the big-deal line up changes. All I knew was that our local rock station started playing “Tempus Fugit” a LOT, and I really fell in love with it. It became my favorite song on the radio. I’d wait for them to play it. I remember a couple of occasions blasting it while I was driving. I guess a couple of my friends were aware of my love of this song, because I was given the cassette of Classic Yes for Christmas. To be honest, I didn’t take to it at first. Let’s be frank, none of it sounded like “Tempus Fugit”! But the more I listened, the more my appreciation grew. 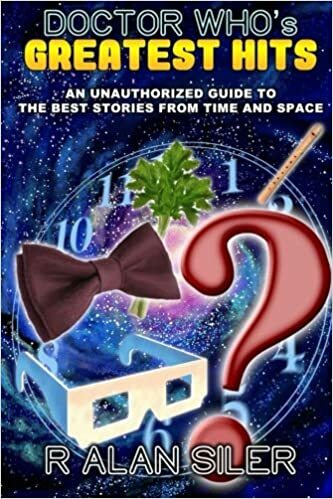 “Wonderous Stories” was the first one that grabbed me, followed by “And You and I“. I slowly took in more of the other songs as well, and started to really like what I heard. By the time 90125 came out in ’83, I was ready to become a serious full-time fan. I bought that album when it came out and really liked it, partly because it sounded much more like “Tempus Fugit” than any of the other Yes songs I knew. I saw them on that tour very soon after. They played two nights at the Lakeland Civic Center, the 3rd and 4th nights of the tour, I believe, and I went both nights. And that sealed the deal for me.It also introduced me to other songs that I hadn’t heard before. After this, I started buying up every Yes album there was, and I went on this journey deeper and deeper into the world of prog-rock. The last two I bought were Tales From Topographic Oceans and Relayer. Both of those albums eluded me for a long time, they were just a little more than I could digest at the time. But my appreciation grew, I began to listen to rock music the same way one would listen to a symphony – for the themes, the development, the progression of ideas throughout the course of a piece or in some cases throughout the course of an album. It took a while, but I finally climb the twin mountains that are Topographic and Relayer, and now they’re my two favorite Yes albums. “Gates of Delirium” is, to me, the culmination of prog rock. Its the progiest prog there is. 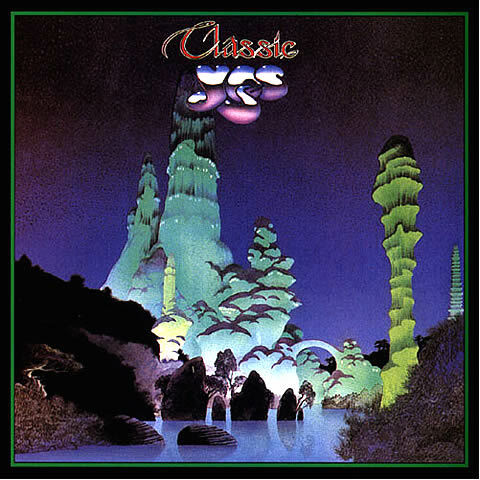 I continue to follow Yes and have loved everything they’ve created, especially later albums like The Ladder and Magnification. Just saw them a month ago at Atlanta Symphony Hall and they were fantastic. And Yes greatly expanded my musical horizons as I continued to explore deeper prog groups, like King Crimson, as well as the Peter Gabriel-era Genesis, and younger bands like Spock’s Beard and IQ. Seriously, two of the most perfect prog albums I’ve ever heard are V by Spock’s Beard (2000) and Dark Matter by IQ (2004). A few posts ago I wrote a lot about Fly By Night, the album that introduced me to Rush. In that post, I mentioned that Permanent Waves had a profound effect on me when it was released a couple of years later. The more I’ve thought about it, the more I realized that it needed its own blog post. Because this album is one that shaped me tremendously. I remember quite distinctly when I first heard it. Our local album rock station, Zeta 7, (god rest its soul) used to play complete albums at midnight, and they’d frequently use this time slot to debut new releases. I recall staying up that night to record the broadcast onto cassette (as I did with many other similar broadcasts). The album was so different to anything Rush had done in the past, just as Farewell to Kings had been a drastic departure back in 1977. This was still progressive rock Rush, but they’d found a way to make their brand of progressive rock commercial, radio friendly, accessible. The songs were shorter; the songs were catchy. They had choruses with great hooks. But they still retained prog elements. Also, the production was perfect. The songs sounded big and full, but every instrument could be heard individually. There was a clarity of sound that some later Rush albums were lacking. After recording the album that night, I listened to it over and over, playing it, rewinding the tape, playing it again, and repeat. I studied that album. I was fascinated that the styles ranged from the commercial pop of “The Spirit of Radio” to the ethereal, mostly tone poem “Jacob’s Ladder” to the lengthy meandering sonic journey of “Natural Science”, to an actual, genuine, playful love song in “Entre Nous”, and yet it all sounded like one complete statement. No song sounded out of place. 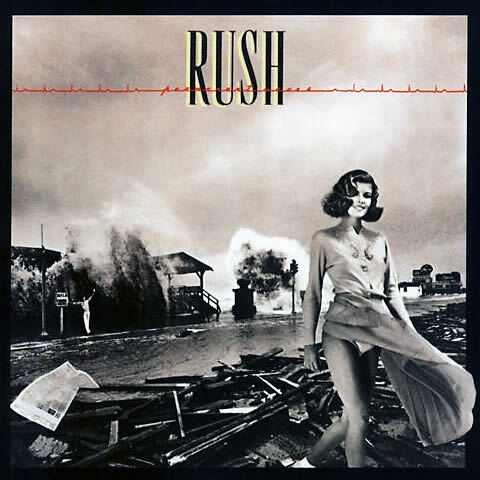 It was Permanent Waves that made me a deep Rush fan. I studied Neil Peart‘s drumming and tried to incorporate some of his licks into my playing. I also studied his way of playing “non-traditional” parts to songs, doing more than just keeping time but accentuating the music, interpreting it, adding to it. From him I learned that the drums can be an integral voice in the structure of pop songs. Drums can actually be musical! I also learned that he was a very busy player, filling in spaces with clever tricks, intricate figures and ornate fills. However, he also knew when *not* to play, and that was a big lesson to me. All this was incorporated into my meager, limited playing, and how I thought about approaching drums. My study of the material presented on Permanent Waves as well as A Farewell to Kings and Hemispheres led me to a greater understanding and appreciation of complex time signatures. I was especially fascinated at how Rush could use asymmetrical meters and make them sound and feel symmetrical. I started to notice the same trick being done in other commercially successful songs, like “Solsbury Hill” by Peter Gabriel and “Money” by Pink Floyd, both of which are in 7/4 time but lope along so casually that the listener never even notices. I also gained a deeper appreciation for Neil’s lyric writing, and was fascinated that the drummer was the “voice” of this band. Especially “Entre Nous“, which features beautifully poetic descriptions of romantic love. Not the kind of thing you hear often in a Rush song! As I mentioned before, when I became a fan of Jefferson Starship,Grace wasn’t in the band. She and Marty Balin had just left. Her alcoholism had gotten out of control. Her last tour with JS was disastrous, with the band having to cancel shows because she couldn’t go on, and when she did perform she was belligerent to audiences and unable to sing. Years ago I heard her talk about how her wake up came when she drove a car straight into a wall at 80 miles an hour. It made her realize that many of her friends from the Woodstock era — Janis, Jimi, Jim Morrison, Mama Cass, etc — were all dead, most of them because of drug and alcohol use. She quit the band, quit drugs, and never looked back. Dreams is an incredible album, and certainly the most personal that Slick has ever written. She’s not one to write about personal experiences; she is more of an observational writer. But on Dreams, she turns her attention squarely on herself and her problems, and holds nothing back. She is scathing in her self-criticism. Musically, its quite a departure for Slick. It is predominantly orchestra and acoustic guitar-led. The only venture into actual rock that she takes is on “Angel of Night”. The whole album is, in my opinion, her best vocal performance ever. Better than anything she did with Jefferson Airplane, Jefferson Starship, other solo albums, Starship, guest appearances on other artists’ recordings, etc. This is the pinnacle. The influence that this album had on me wasn’t necessarily musical like all the other ones were. This one came out at a time when I was in high school, and I hung around a lot of druggies. There was always pressure to get involved in their ‘activities’. I never wanted to, and I either felt uncomfortable or out of place with them. Dreams helped me to be okay with my decision, because if Grace Slick, who had consumed more drugs than nearly any other human being, had walked away from it and looked back on her choices so harshly, then I didn’t need to be doing it in the first place. Thanks, Grace. To this day, this is one of my favorite albums I’ve ever heard by any artist in any style of music. It’s pretty much perpetually in my Top 5. Grace rejoined JS a year or so later, and found the band to be a much improved and more healthier place to be. They’d had some member changes, they were more focused, were playing harder rock now, and the shows were more fun now that Marty and his lengthy string of love ballads were gone. She came back in as a guest on the Modern Times album, rejoined fully once the album was done, and went out on tour that year. That year was my first time seeing them live and it was quite an experience. I saw them a few times after that as well. She stayed in the band even after Paul Kantner got fed up with and quit, taking the “Jefferson” moniker with him. She stayed during the first two Starship albums, until she couldn’t take it any longer, and quit. I saw her live twice with Starship; not bad shows, but the band didn’t really care about writing material or making meaningful music any longer. She later retired and now focuses on her paintings.